I have to admit – I never thought about it for my pets. My mother certainly scared me as a child; I knew NEVER to place a plastic bag over my head but a dog is even far more likely than a toddler to bury their snuffle into a plastic bag, especially one containing food. Pet suffocation is more common than one would think. This is a serious issue happening to pets, so serious that there is an entire organization dedicated to its awareness. Just as you would protect a toddler from being able to get a plastic bag over their head, you have to be as vigilant, if not more with pets. I’ll never forget when one of my dog walking employees showed me a video of her dog with a bag of tortilla chips stuck on his head. He was wandering around the apartment and I’ll admit I laughed. There are 100’s and I mean 100’s of videos with dogs and cats that have bags stuck on their heads. I’m not sure why it took until I read the Today article about it for me to now look at those videos in horror. Those pets are literally running out of air. The only saving grace is that a human is there to film, and then eventually remove the bag. That is not the case for the dogs and cats left home alone that get a bag stuck on their head with no one to save them. Bags are deadly to dogs and cats, just as they are to humans. I’m sickened that I once found this amusing but now all I can do is help to educate pet owners and pet care, professionals. 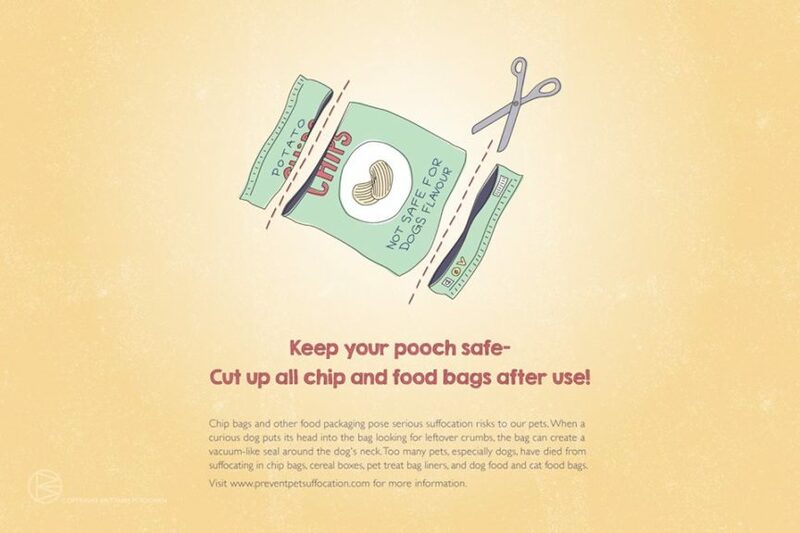 Keep plastic bags, chip bags, pet treat bags, any kind of bags, particularly those that store food – far from your pet’s reach. When you’re finished with the bag cut it up into smaller pieces. 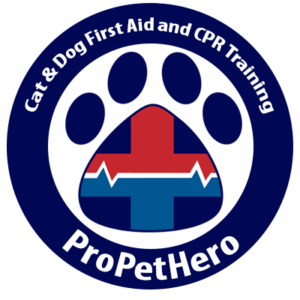 When you’re ready to learn how to save your pet’s life, take our pet first aid & CPR course, as careful as you may be pet suffocation is common, if you catch it, can you save them? Please help share this message. I pride myself on being safety conscious and this was not an issue that I was even remotely thinking about. We owe it to them to keep them safe, no one wants to come home to a perished pet. Oh Karla I am so sorry to hear that. Thank you for sharing your story, there are so many seemingly harmless items around our house that could be fatal for our furred loved-ones. Thank you again for sharing.